I always create a schedule for our new school year. It’s a spreadsheet that is color-coded by each child. It lists what we do for every half hour of our school day. I don’t create the schedule so that we can follow it exactly. It really doesn’t work that way in our house. I create it to be a rough guide to show me how all of our subjects will realistically fit into our day. By seeing the subjects for each child listed on that spreadsheet and placed into half-hour time blocks, I can quickly see if I’ve over-planned for the year. I usually do over-plan and over-book our schedule, so readjustments are always needed. The schedule quickly lets me see if my plan is doable for the year. So, my carefully designed schedule keeps me from overloading our days. It helps me see how each subject will fit into our day and it ensures that I have time to work with each child individually. Once we get going in our school year, the schedule becomes more of a guide and we have fallen into a routine that works for our family. The schedule is never followed exactly. However, it is necessary as a guide so I can see how each subject fits into our day. This year our schedule was revamped multiple times before we were able to find a comfortable routine for our school days. I’ve finally found a plan that is going to work (at least for the fall semester). Enjoy the video that explains more details about our schedule. I even walk you through what a typical day looks like using the schedule. If you ever wondered how I fit things in to our day and how I homeschool multiple children, the answer is in my schedule. It helps me stay organized, and it helps us find a good routine for our school days. My kids like knowing what to expect and I like knowing that there is time for each subject and for each child. 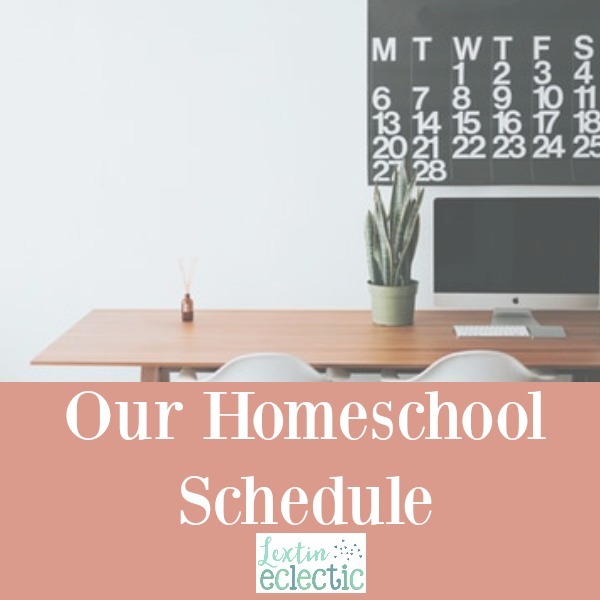 Also, if you need ideas to help you shorten your homeschool day and be more efficient, check out this resource about simplifying your day.